It didn’t take much persuasion. When Vicki Elkin suggested that we go to Three Bridges Park for our photo session I jumped at it eagerly. 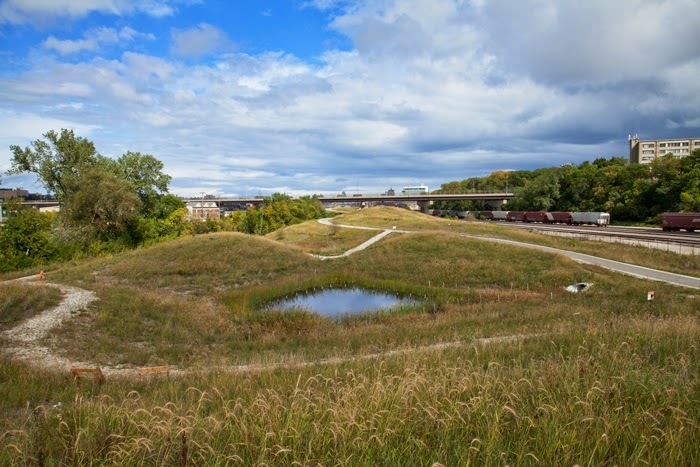 The park is one of several projects in the Menomonee Valley that have been made possible in part by grants from the Fund for Lake Michigan, which Elkin administers. As regular followers of this blog know, it is also one my favorite places in the Valley. We stroll between the contoured slopes of park hills that rise from a formerly flat rail yard. 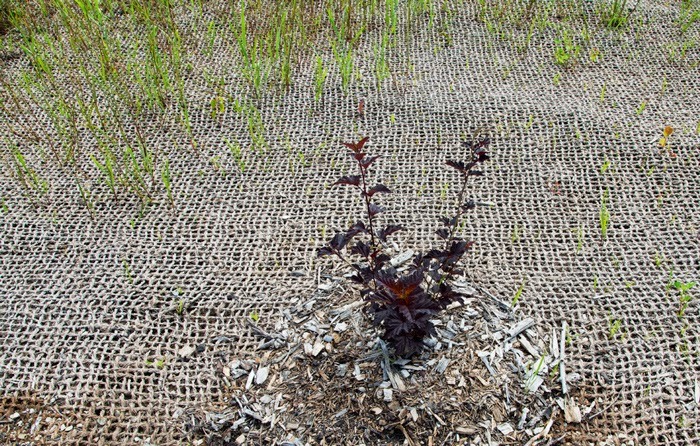 Fresh green grasses and newly planted seedlings emerge from burlap staked down to prevent erosion during this fragile stage in the process of vegetating the park. A row of boxcars sits idle on one of the remaining tracks adjacent to the park. The human hand in creating what eventually will become natural-seeming habitat is everywhere apparent. It’s an example of what I like to think of as “intelligent design” and an appropriate setting to talk about Elkin’s role as Executive Director of the Fund for Lake Michigan as well as the variety of environmental, scientific and technological projects it has enabled. To read the rest of this post and view the photo essay, click here to go to Arts Without Borders. This post is one in a series that relates to my Menomonee Valley Artist in Residency. For more information about the residency and links to previous posts and photographs, go to MV AiR.